I'm not certain but it appears to be some kind of blank agreement with the year not written in on the first line. The first line reads something like this, "With great blessing, sealed on the XXth of Shevat,(blank for year)". It is definitely Jewish from the symbolism and script but is too short to be any kind of ketubah. 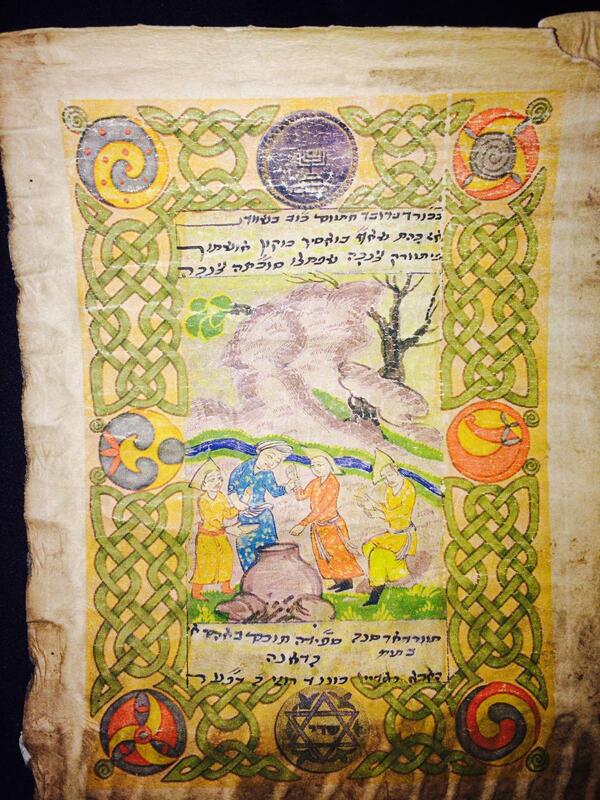 It is possible that this is some kind of "Tannaim", a document of betrothal or intent to marry. The holy name written at the bottom is usually associated with blessings for procreation and marriage like is found in Sefer Raziel HaMalach. Not the answer you're looking for? Browse other questions tagged hebrew aramaic text pictures . Is there a book / document that explains the proper use of kamatz katan in the Torah? Rosh HaShanna glossary: What do hain, hesed, and rachamim mean?